4Links is a high growth UK SME recognized as a world authority on SpaceWire. 4Links was incorporated in 2000 by Paul Walker who has deep experience of the transputer, its links and its design principles. This unique depth of understanding within 4Links has been the foundation of the company’s contribution to the European Space Agency SpaceWire standard and thence to the space industry worldwide. 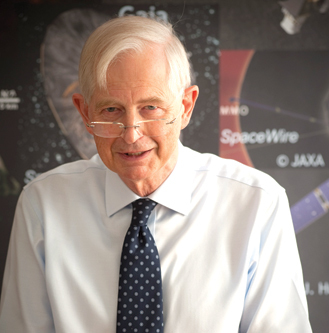 Part of ESA’s recognition of 4Links and its founder Paul Walker’s contribution, was to bestow on him the tile of ‘The Grandfather of SpaceWire’. 4Links has consistently led the market for SpaceWire test equipment, Our equipment is excellent at exposing bugs and providing the information to resolve them. See our products for SpaceWire here. The history of our involvement in SpaceWire, our depth of understanding, our promotion to help its world-wide adoption, and the quality of our products, are second to none. We at 4Links strive to deliver quality products to save you time and money finding bugs - throughout the life of your projects. 4Links is investing heavily in technology and people and is poised for an even brighter future which will not only benefit us but our customers and the industry as well. We are still committed to deliver quality products and will continue our outstanding customer service, pre and post sales.